If you’ve had financial problems in the past, you’re not alone. Many people have struggled to repay loans, and now have a bad credit rating as a result. This can have dire consequences for future purchases, with banks and other financial institutions considering you a risk given your history. Like anything you’re trying to buy or sell, the value of a car is determined by how much someone is willing to pay for it. If after negotiations you buy or sell a car for $7,000, then that’s its value at that particular moment in time. PPSR Search: What is it? How does it work? PPSR stands for Personal Property Securities Register, and is administered by the Australian Financial Security Authority (AFSA), an agency of the Australian Government. It’s an online portal accessible by anyone, providing transparency over the financial interests of personal property. Enough is enough, bad credit in Australia is increasing and we need to do more to stop the rot. The finance industry is seeing more impaired credit daily than ever before, the Australian debt clock is scarily ticking up at a rapid rate. In follow-up among these alarming trends, we’ve completed research to further explore this crisis and suggest potential solutions. ​Chattel Mortgage or Consumer Car Loan, which should you choose? 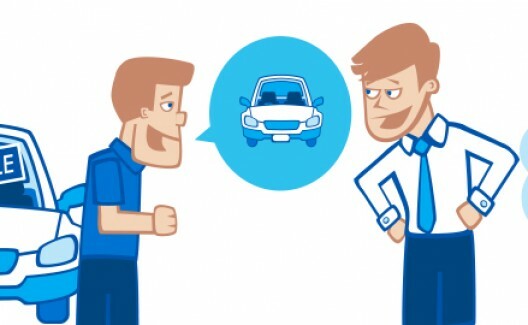 If you haven't found the car you're going to buy yet, you want to keep your options open so that wherever you find your ideal car, whether through a private sale or at a dealership, you have the funds to seal the deal all ready to go. A car finance broker can arrange pre-approval for a loan from a choice of lenders who offer flexible finance that can be used in either case. No matter what kind of car you’re looking for, the easiest way to get a complete picture of what’s on the market, to find a niche model or just make sure you’re getting a fair deal is to go online. Without leaving your home you can very quickly work out how much you should pay, the safety features and how they’re rated, and everything else you could possibly want to know about cars. Can You Get A Car Loan After Declaring Bankruptcy? Being declared bankrupt doesn’t have to mean that you are limited to public transport, relying on friends and family for lifts, or the expensive option of taxi transport, if you no longer have a car. A car is often essential for family mobility, and for stable employment. [Updated July 2018] In the 2017-18 financial year, there were over 16,000 bankruptcies filed in Australia. If you have faced the stress of bankruptcy, you are not alone. At Positive Lending Solutions, we recognise that your financial situation isn’t always 100% under your control. Families are all all about sharing. This means that if you can help your mum, dad, sibling or partner get ahead with access to a loan product, you probably will. But what kind of obligation have you taken on, and what does this mean for you?
' Zero percent interest ' loans are a type of finance offered by the car manufacturer through a car dealership.’These loans are available for brand new cars, and they usually have a relatively short term. Here are a few tactics these dealers use during these promotions which will see you pay the interest in various ways. What Is A Residual Value Or Balloon Payment? If your broker suggests an offer from a lender that has a ‘residual value’’or ‘balloon’ payment as part of the loan contract, this means that in return for making reduced payments throughout the loan term, there is a lump sum payment due at the end of the loan contract.